Dr. Vincent Arpino has one mission — to create beautiful, healthy smiles for our patients that will be valued for a lifetime! We are proud of what we do, and understand that a great smile improves self-esteem and changes people’s lives forever. Unlike many other dental clinics or orthodontic offices, Dr. Arpino has only one location. You can count on his personal attention at every appointment. Dr. Arpino feels strongly about giving back to the community and we are continually donating to local sports and special events in the area. 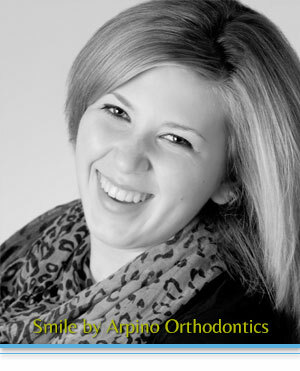 Dr. Arpino has over 20 years of orthodontic experience and has created thousands of beautiful smiles in Lake County. He is a specialist in orthodontics, not a general dentist practicing orthodontics or Invisalign®. We are a “Headgear-Free Zone!” Judgment, skill and training count! Dr. Arpino offers a no fee initial consultation and affordable interest free payment options to fit all budgets. We will bill your insurance company and accept insurance assignment from most insurance plans. We offer in-house financing and paid-in-full discounts, and accept all major credit cards, debit cards and flex & HSA spending cards. Don’t forget the special family discounts – we love your loyalty! We make braces affordable! We give all patients treatment options. We “inform before we perform,” with no surprises, hassles or stress. Dr. Arpino will always tell you what he’s going to do, how long it will take, and how much it will cost before any treatment is started. Our warranty to you is our commitment to your satisfaction. We are the Home of the Permanent Retainers and offer free retainer checks for two years. We want you to love your new smile! Our office is located in a historically renovated home that is pleasant, fun and professional. We offer a thorough evaluation of your teeth, gums, smile, jaw joint, bite and profile at your free initial exam. Call us now at (847) 362-8262 to set up your complimentary consultation. There is no fee to see Dr. Arpino! Did we mention that we have an arcade game room in the basement!